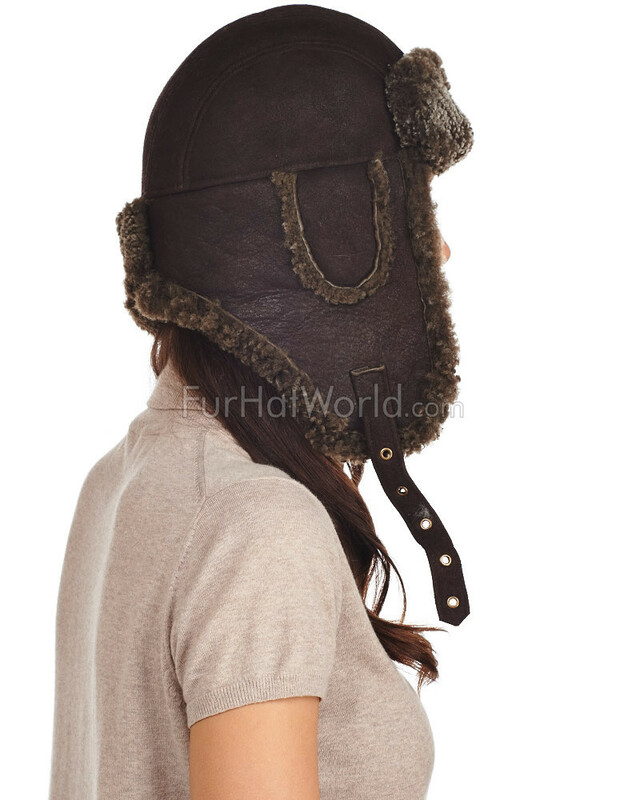 This Womens Ultimate Shearling Sheepskin Aviator hat is made from 100% genuine Shearling Sheepskin leather. Dark, curly Shearling wool on one side and incredibly durable Napa Leather on the other make this hat a must-have this winter season. 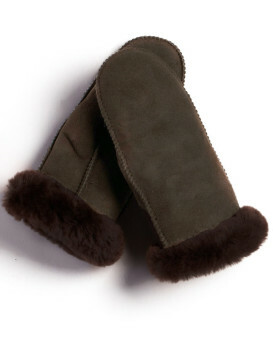 Features include ear flaps with antique brass metal buckles and all shearling interior. 4.5 / 5 from 25 customer reviews. 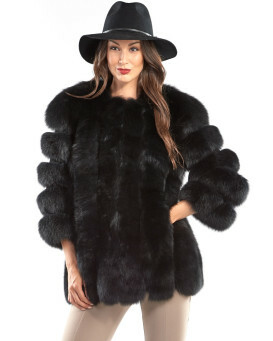 "The hat is beautiful, the style is cute, the fur is thick and warm and the craftsmanship is excellent. It is absolutely exceed my expactation. 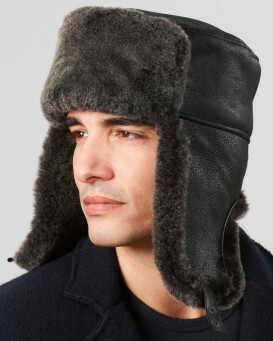 I bought a similar one from Hudsonbay for my husband with similar price, this one from Furhatworld company is much better with stronger leather and thicker wool and even the leather strap of the buckle is much thicker. 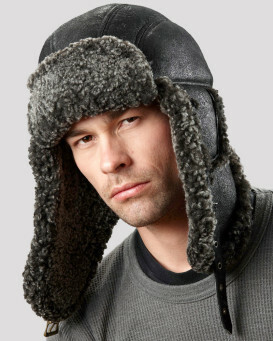 I love this trapper hat, I will wear it for the coming winters. The quality is so good and it looks like it will last for many years. 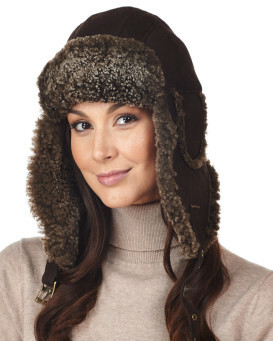 Thanks fur-hat- world for bringing me with this wonderful shearling hat! I will recommend it to anyone who like this hat style." "I LOVE IT!!!! 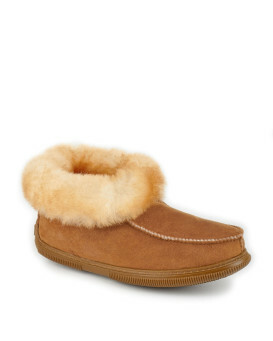 IT SO WARM AND COZY.. GOOD QUALITY.. HIGHLY RECOMMEND!! THANK YOU SO MUCH AND MORE POWER TO YOU GUYS!!" "I love my new Canadian wool hat !!! I wasn't expecting it for ages, and it arrived today. It is seriously awesome and looks like the model just gave me her hat !!! Maybe she did haha. So anyway I made a short film with many themes, read the description, and I wore my hat. Highly recommend FurHatWorld ... thank you !!! NB Welcome to my short film: Boris Yelstin "calls" for PEACE ... read the film description. 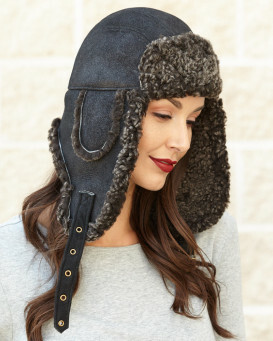 https://youtu.be/JTb9zTGIRLk"
"Love this hat, it goes beautifully with my shearling and leather coat. Also love that it fits well on my small head, the small is perfect! Have tried other brands and the smalls are usually too large for me. Nice quality." "Ordered the ladies Shearling Sheepskin Trapper Hat and the Alaska Shearling Sheepskin Mitten in Brown for my trip to the International Ice and Snow Festival in Harbin in January. Excellent products and service." "Love this product. When it's very cold keeps my ears nice and warm. Keeps that cold wind away from my neck. Thank you." 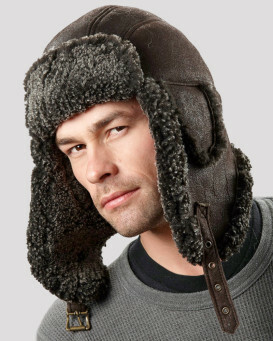 "Very nice hat and warm in -24 degrees so practical also. Sizing 'small' is as described so quite a snug fit. Better quality than similar store products I found." "I purchased the hat as a gift for my wife, and she loves it. It's very warm and is very good quality. Shipping was also very quick. Good buy."